A graduate from Kingston university, Mary Graham was shocked after learning that a product only has to contain 1% natural elements to be considered as natural. 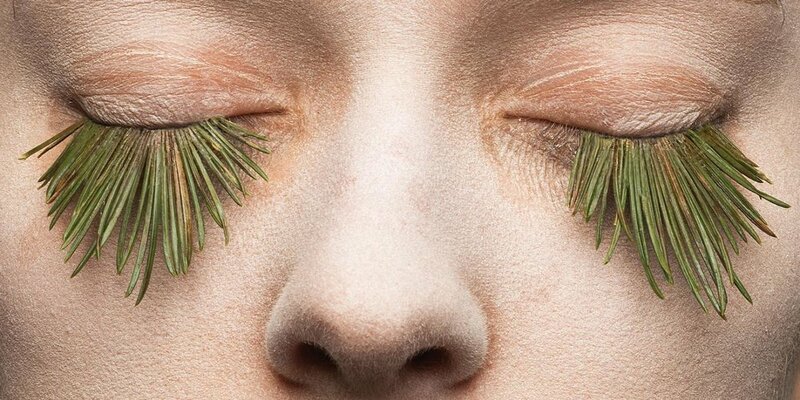 She was inspired and turned foliage into sets of eyelashes, showing us how false cosmetics really are. A product only has to contain 1% natural elements to be labeled as a natural product. The topical debate as to what constitutes as natural beauty caught my attention. Could cosmetics ever be made convincingly enough to be sold on the market as a truly natural product? My aim was to give myself tough restrictions in an attempt to craft a truly natural product. Everything I used was created by nature. Eggs and snow formed the glue to attach the eyelashes to the eyelid. 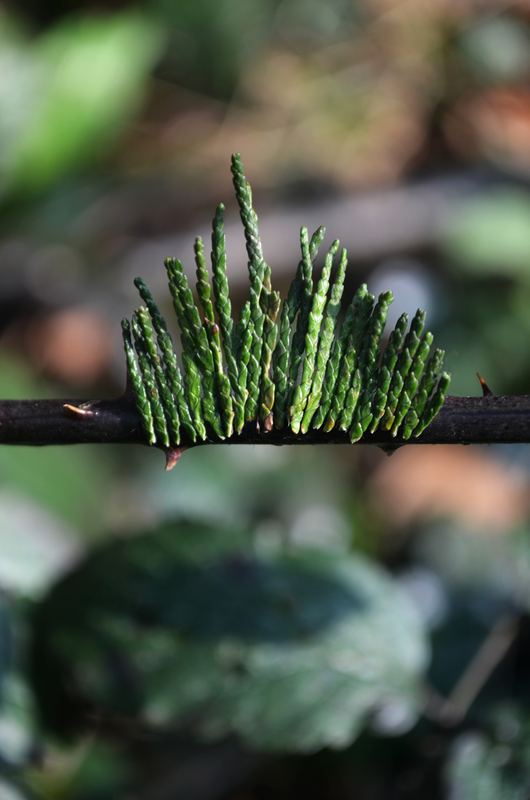 Scavenged foliage from a local forest was used to create the lashes. Each eyelash took about an hour to make demonstrating it is time-consuming to craft completely natural outcomes. I took the photo’s in the studio at university and tried to make them as ambiguous as possible, in order to make the audience do a double-take.